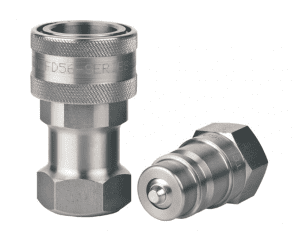 Quick disconnect couplings are used to ensure a quick and easy connection or disconnection of air and fluid lines. 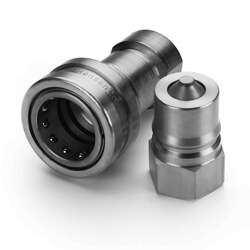 These couplings are an important part of hydraulic systems and it is crucial to select the right type of quick disconnect coupling for your specific application. 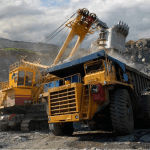 The proper coupling can help you save time when making frequent connections, improve serviceability of equipment, and simplify fluid connection points for your application. These benefits can greatly increase cost savings for your application and your business. Eaton has been manufacturing and supplying quick disconnect coupling for over 90 years for a wide range of markets, including agriculture, construction, transportation, and more. The products offer the highest quality and performance on the market, from custom coupling to industry standards. Eaton offers a product line of over 40 different quick disconnect couplings for different applications, including fluid transfer and hydraulic, pneumatic, diagnostic, and more. 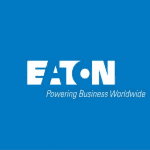 View our top offerings for Eaton below. Eaton’s FF Series is a flat face coupling, available in steel construction and is designed for situations where it is important to ensure compatibility with other manufacturers. Its standard sleeve lock design prevents accidental disconnections and ensures no-spill performance for a range of applications, including agricultural equipment, construction equipment, utility vehicles, stationary in-plant hydraulics and fluid transfer, and more. The FF Series is made from high-resistant carbon steel with Guardian SteelTM plating. This trademarked plating is nickel-free and solvent-free and offers up to 1000 hours of corrosion resistance, minimizing the negative effects corrosion can have on couplings. The coupling exceeds the ISO 16028 standard of 250 bar, providing 400 bar for static and 350 bar for dynamic applications. It is available in size from ¼” through 2” to meet your specific size requirements. The current FF Series is the industry-leading offering, delivering flow rates up to 40% higher than the previous version and 35% higher than the competition. The Eaton 5600 Series is a self-sealing, poppet style, ball-locking quick disconnect coupling, available in a 303 stainless steel construction. It provides excellent high and low pressure sealing for a range of applications, including agricultural equipment, construction equipment, manufacturing and processing equipment, and more. Eaton is the original manufacturer of the ISO 7241-1 A style coupling and this new stainless steel offering is an upgraded version of the same product. The 5600 Series meets or exceeds the requirements of ISO 7241-1 A and adds new benefits for the user. The streamlined valving of the 5600 Series provides the minimum pressure drop during use and offers excellent corrosion resistance in tough environments. 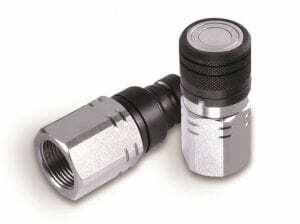 The coupling is made from high-resistance carbon steel with zinc trivalent plating. Eaton’s HK Series is a general purpose industrial interchange coupling, available in 303/316 stainless steel construction. It is designed to provide greater corrosion resistance and fluid compatibility for rugged applications in a wide range of markets, including agriculture, construction, fluid transfer and hydraulics, transportation, oil and gas, HVAC, and more. The HK Series meets the dimensional requirements to ISO standard 7241-1 B. It features a ball latch mechanism with an automatic self-sealing poppet valve. The HK Series also includes steel and brass couplings that meet the requirements for ISO 7241-1 B. The Eaton product line offers a wide range of options for quick disconnect couplings, which can provide you with a one-stop shop to meet all your coupling requirements. The team at WHD Canada can help provide recommendations when selecting the coupling for a specific application, offer local support and troubleshooting, and supply engineering capabilities to aid our distributors in their effort to resell the HK Series, HKFR Series, or FF Series. To learn more about these couplings or other aftermarket products, contact our team today.